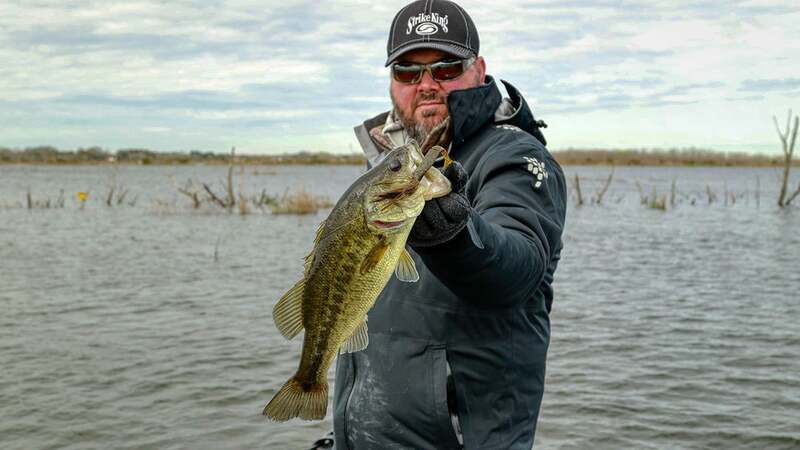 Greg Hackney's appreciation for a bladed jig's effectiveness goes well beyond the commonly expected prespawn bass fishing applications. In his view, this bait has nearly year-round application. 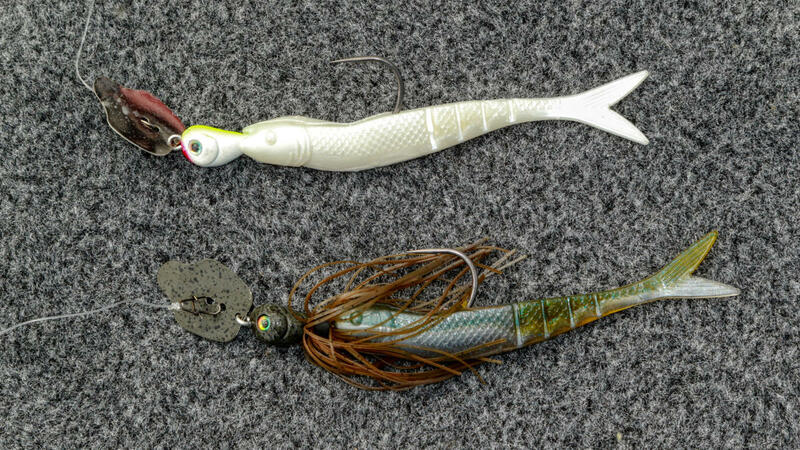 "This bait has the visual appeal of swimming a jig, which is a very natural look, plus vibration," Hackney said. "It doesn't have rattles, so it's more subtle than a lipless crankbait. "The other cool thing about a bladed jig is that you can fish it in 6 inches of water or you can fish it in 20 feet of water. You can make it look like a crawfish, a bluegill, a shad — anything that a bass eats. 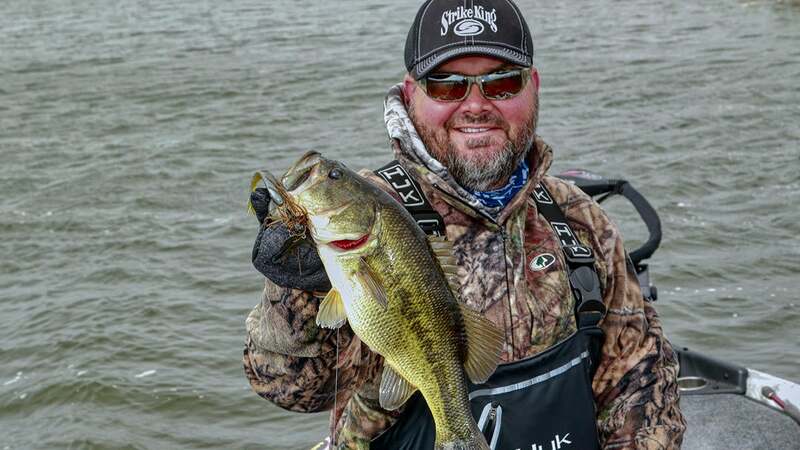 Hackney's favorite non-prespawn bladed jig uses aside for the moment, consider his straight forward rigging and tweaking advice. Colors: Hackney likes painted blades in most scenarios, especially in clear water because it gives him the ability to leverage the vibration without the big flash. Adjusting jig and trailer colors lets him ideally match water clarity — natural colors for the super-clear stuff, or "doll it up" with something more ambitious for dirty water. Trailers: His go-to is a Strike King Blade Minnow, followed closely by a Strike King Rage Swimmer. Both create his preferred baitfish profile, but in dirty water when the fish are often shallow, he'll often switch to a Strike King Rage Bug or Rage Craw. "Not only do these trailers change the action, they change the action of the lure," Hackney said. "If I'm wanting to fish that bait deeper, the blade minnow will make it do that, whereas, a creature style bait will hold the lure higher. When I want to hold the bait up and fish it at an extremely slow rate of speed in cold water, I'll put the 4.75-inch Rage Swimmer on the back. "What makes a bladed jig so (beneficial) is that you can manipulate it so much, just by changing trailer and not even changing the jig weight. For example, a 3/8-ounce jig runs shallower than a half, but a lot of times, I'll stay with the 1/2-ounce and just change my trailer. I still have a heavy lure that casts good into the wind, but I'm able to fish it shallower." Skirt: In super clear water, or anytime the fish are particularly shad-focused, Hackney removes his bladed jig's skirt to maintain a streamlined profile. Spawn — You need wind and/or clouds to relax wary fish, but it'll get 'em mad for sure. Shallow Smallies — When smallmouth are up roaming flats, Hackney finds them highly receptive to the bladed jig's performance. "This is a good bait for covering water when the fish are chasing shad on mud flats," Hackney said. "A smallmouth will run 50 feet to get bladed jig." Around grass, try to make contact, but don't sweat the occasional snagging. 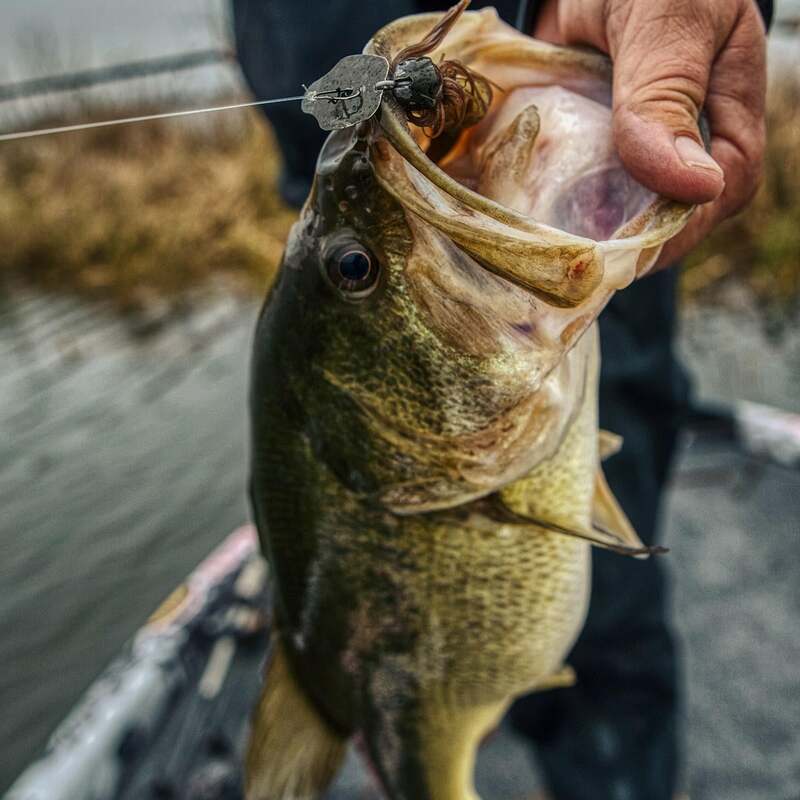 In warm water, he'll snap the bait free, while a slower pulling motion's best in chilly temperatures. "It's a pretty simple lure to fish with," Hackney said. "Sometimes they want it faster or slower, but for me, it's hard to beat a medium retrieve. A missed bite will tell you a lot; maybe you need a different color or a different trailer. The best way to figure it out is to just keep the bait wet."